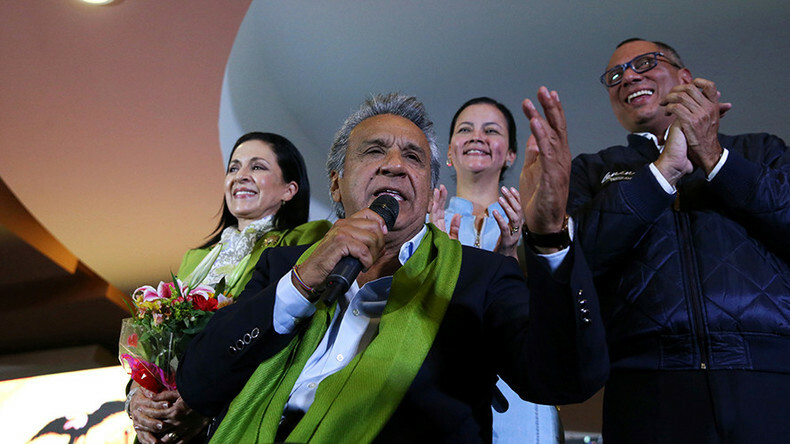 Lenin Moreno, the candidate of the ruling Alianza País Party in Ecuador appears to have secured a win in the second round of presidential elections, barely beating his rival, the conservative Guillermo Lasso who thus far has refused to concede. With 95 percent of the votes counted, Moreno is in the lead with 51.11 percent compared to 48.89 percent gained by his opponent Lasso, the country’s election commission reported. While the winner has not yet been officially announced, the government says preliminary results are 99% accurate and “irreversible” according to outgoing President Rafael Correa, who already congratulated Moreno. "The revolution has triumphed again in Ecuador," Correa said on Twitter. "The right has lost, despite its millions and its media." Gran noticia para la Patria Grande: la Revolución volvió a triunfar en Ecuador. La derecha derrotada, pese a sus millones y su prensa. While Moreno has declared victory in a close runoff, Lasso has called for a vote recount, claiming that he is the real winner of the election. “They've toyed with popular will,” Lasso said on Sunday night, demanding a recount as earlier exit polls were split and projected different winners, prompting both candidates to claim victory. Lasso vowed to “defend the will of the people” and challenge the results, which he believes to be fabricated, having already shared on Twitter what he called an example of vote count inconsistency. He urged his supporters to get out on the streets and protest the results, but quickly distanced himself from potential public disorder asking people not to react to “provocations” and rally in a “peaceful but firm” manner. “Let us act peacefully but firmly. You have to go to the streets to say: DO NOT STEAL MY VOTE because we want a CHANGE in Ecuador,” he tweeted. The 64-year old Moreno, who has been in a wheelchair since 1998, ran on a campaign which promised the South American country a boost in social benefits. The nominee for the 2012 Nobel Peace Prize served as vice president of the country from 2007 to 2013, under President Rafael Correa. It was Correa, serving his third presidential term, who had nominated Morena to run for the Alianza País socialist political movement in Ecuador. His opponent Lasso, a 61-year-old former head of Banco de Guayaquil who has campaigned on creating one million jobs in four years, argues that Moreno's generous social promises risk plunging Ecuador’s economy further into debt. 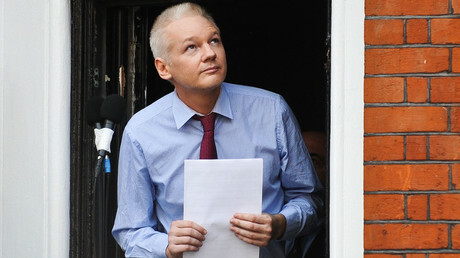 The conservative has also promised to evict WikiLeaks founder Julian Assange from the nation’s London embassy. Meanwhile, Julian Assange has “cordially” invited the losing candidate to “leave Ecuador within 30 days” using similar language as Lasso, who earlier promised to expel the WikiLeaks founder from the Ecuadorean embassy in London should he be declared the winner. Prior to Sunday’s vote, Lasso promised that he “will cordially ask Senor Assange to leave” within 30 days of assuming office, should he be elected. The conservative pro-business candidate said the embassy “isn’t a hotel” and that Ecuador is in no position to finance the Australian’s stay there.